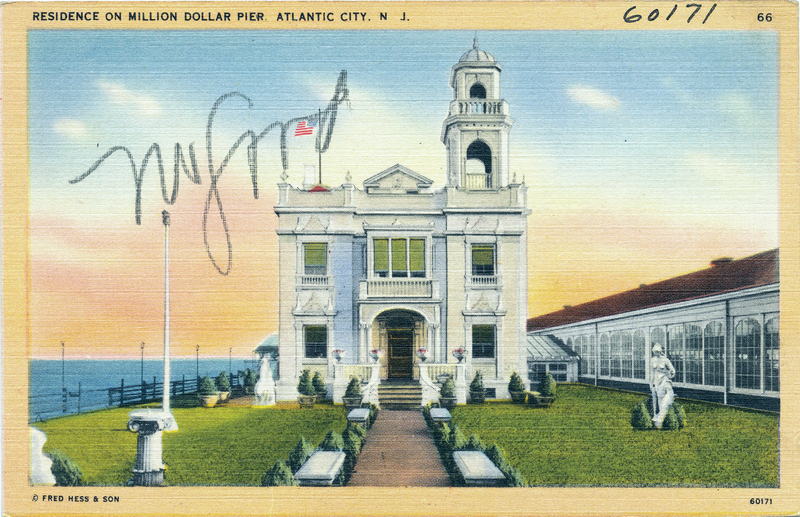 This residence on Million Dollar Pier, Atlantic City, has been deemed "No Good." 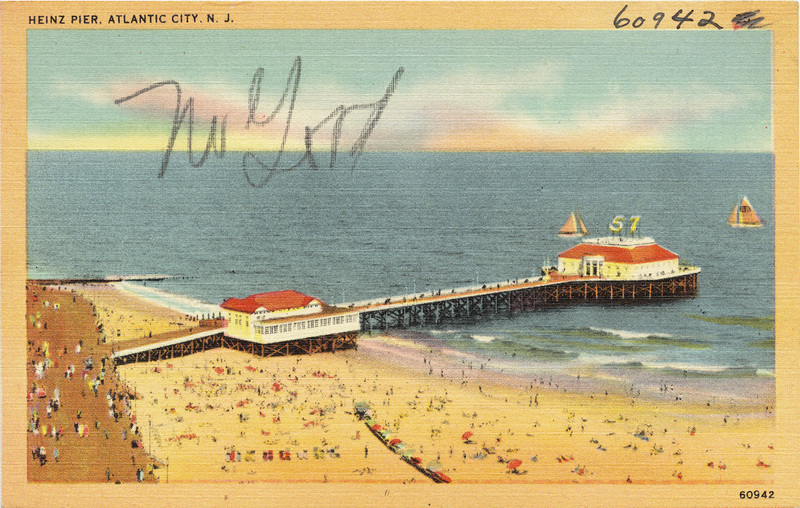 This Atlantic City pier has been deemed "No Good.". 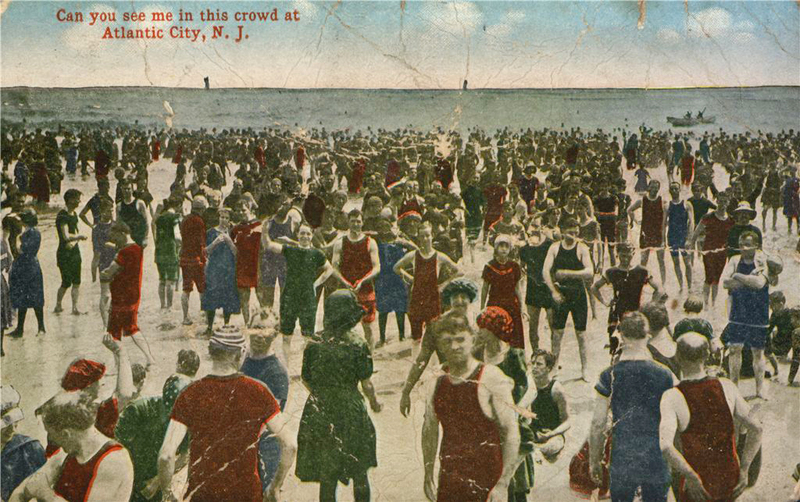 Here's a precursor to Where's Waldo? / Where's Wally? 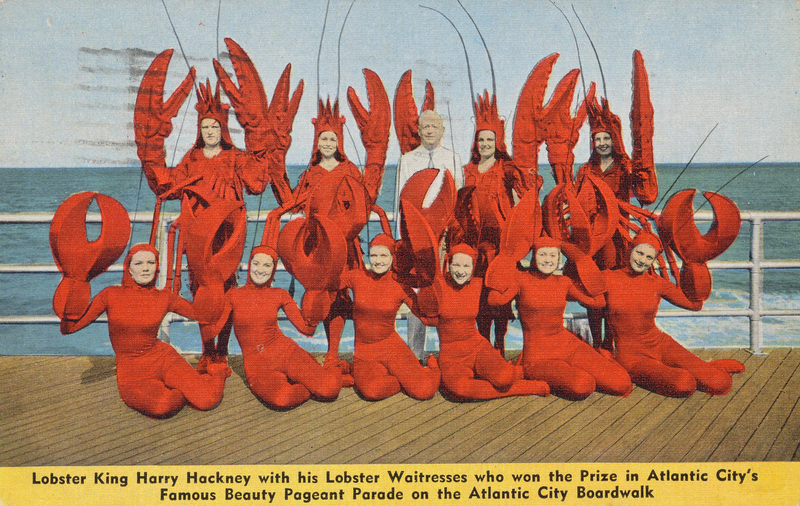 The caption reads, "Can you see me in this crowd at Atlantic City, N.J."
Lobster King Harry Hackney and his lobsters in waiting. From 1943. 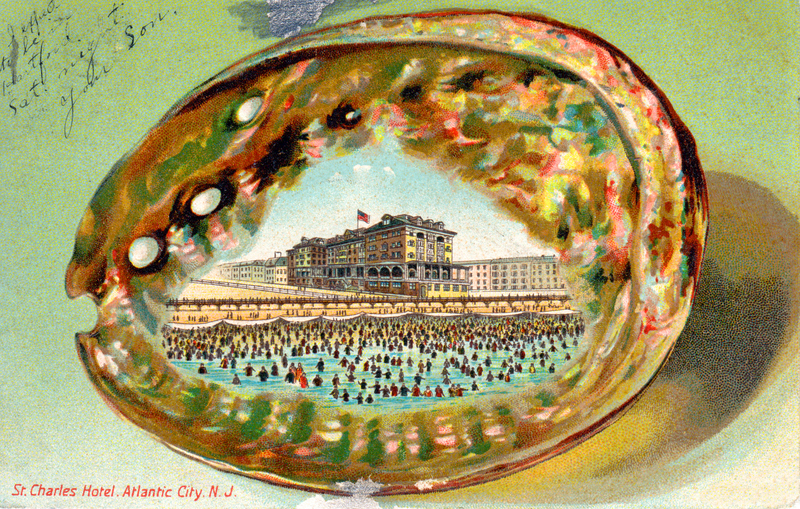 You know that one can hear the ocean in a seashell, but did you know that it's the shore at Atlantic City? 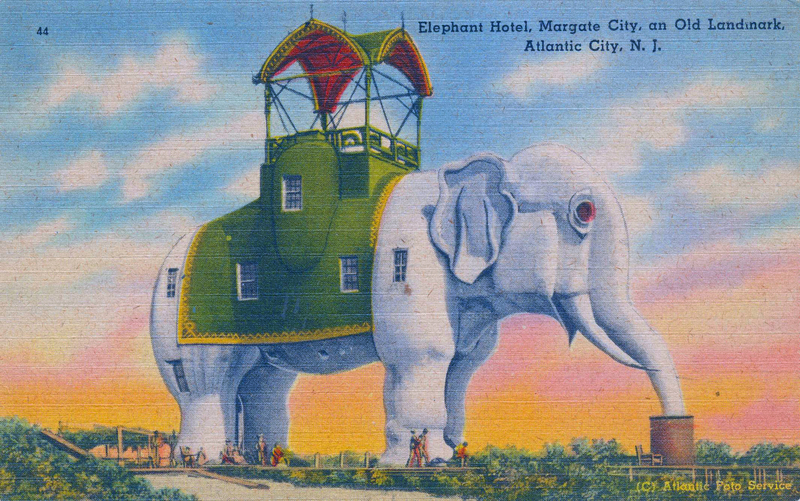 From 1907.